April Newsletter from Pleat & Perry, P.A. | Pleat & Perry, P.A. Home » April Newsletter from Pleat & Perry, P.A. Liz joined the firm, Of Counsel, in February, 2010. Liz relocated from North Carolina to Florida with her husband and two children, and focuses her practice on labor and employment law, business litigation and civil litigation. Liz has represented management in employment and labor law matters in both state and federal courts and before administrative agencies such as the EEOC and Department of Labor. 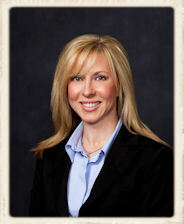 Liz counsels employers and offers strategic solutions in order to prevent litigation. Liz helps employers navigate through the Family Medical Leave Act and Americans with Disabilities Act, and she advises employers regarding discrimination and harassment complaints, wage and hour issues, military leave obligations, drug testing, retaliation complaints, terminations, and reductions in force. Liz also works with employers to implement policies that are lawful, practical, and effective. Mr. Miller graduated from Florida State University in 1967 (B.S.) and 1970 (J.D. 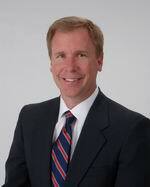 ), and is AV peer rated attorney which is the highest rating assigned to an attorney by Martindale Hubbell. 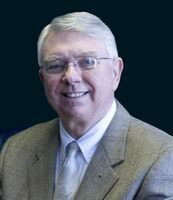 Mr. Miller served as Staff Counsel for the Florida Department of Natural Resources (1970-71), in the United States Air Judge Advocate Corp (1971-75) and in private practice as an attorney in Florida since 1975. Mr. Miller has extensive experience in probate, trust administration, estate planning, elder law, local government and land use law and currently serves as the attorney for the City of Destin. Timothy J. Sonnier was charged with Aggravated Assault by threat, a third degree felony in the State of Florida and Aggravated Battery with Great Bodily Harm or with a Deadly Weapon, a second degree felony in the State of Florida. As the State alleged that Mr. Sonnier discharged a firearm during the commission of a felony Florida's "10-20-Life" Law Applied. Mr. Sonnier was facing a minimum term of 20 years in Prison. Written By: Winter E. Spires, Esq. A civil action has been filed against you. You either defended the action against you and the opposing party prevailed, resulting in a civil judgment against you, or you had no idea where to begin when you received the summons from the civil process server so you stuck the papers in a far away place and days later, received notice that a Default Judgment had been entered against you! What does this mean? What impact will this judgment have on you? Your family? Your Business? Where should you begin? 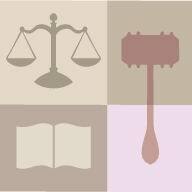 You should consider seeking the advice of a licensed attorney in the state where you reside. An attorney with experience in Collections Law is a good place to start. The hiring of an attorney is an important decision. It is important to arrange a consultation, whether by phone or in person, with any attorney you are considering retaining to represent your legal interests. Ask thorough questions. Insist on a written retainer agreement to clearly outline the terms of your representation. Ask for a cost/benefit analysis, as the effects of a civil judgment can be unique to each individual, family, or business. 2. Judgments in the State of Florida may Create a lien on Real Property for up to Twenty (20) years. Pursuant to Fla. Stat. § 55.10, a Judgment, Order, or Decree may become a lien on real property in any county wherein a certified copy of the Judgment is recorded in the Official Records, provided that the Judgment, Order, or Decree contains certain statutorily required provisions. If the certified copy was first recorded in a county in accordance with the terms of Fla. Stat. § 55.10 between July 1, 1987, and June 30, 1994, then the Judgment, Order, or Decree shall be a lien in that county for an initial period of 7 years from the date of the recording. If the certified copy is first recorded on or after July 1, 1994, then the Judgment, Order, or Decree shall be a lien in that county for an initial period of 10 years from the date of the recording. By re-recording a certified copy of the Judgment, Order, or Decree prior to the expiration of the lien or the expiration of an extended lien, the lien may be extended for a period of ten (10) years. 3. What if I Do Not Own Any Real Property? The Civil Judgment obtained against you may be used by the Judgment Creditor (prevailing party) to garnish your wages, seize your personal assets, or acquire a lien on any Real Property owned by you or in which you have any interest. 4. What if I Do Not Own Real Property in Florida, However, I Do Own Real Property in Another State? A Judgment, Order, or Decree of a Court of any other State is often referred to as a “Foreign Judgment”. A State which has enacted the Enforcement of Foreign Judgment Act provides a simplified way in which a Creditor (prevailing party) may enforce Judgments in the States which have adopted or enacted the Act. This may allow the Creditor to acquire a lien on any Real Property owned by you or in which you have an interest in, outside the State of Florida. 5. Take Action to Protect Your Wages, as well as, Your Real and Personal Property Interests. Schedule an appointment today to learn more about Civil Judgments and how to protect your assets when a Judgment has been obtained against you!